If you are suffering from tooth decay, dental trauma, or missing teeth, you need restorative dentistry to regain your health and self-esteem. Here at the Center for Dental Anesthesia, we have created a comforting and spa-like atmosphere where patients of all ages can relax while they receive the restorative dental care that they need. For patients who are missing teeth or have many damaged teeth, realistic dentures are a great option available at our practice. We know that missing teeth can make simple activities like chewing and speaking difficult, and we want to improve your smile’s function with restorative dentistry. We provide traditional, custom-fit, high-end, and permanent dentures. 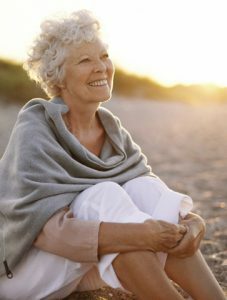 We will ensure that you enjoy a snug fit and reliable dentures that perform all of the duties of natural teeth. Your custom-fit dentures will refill the gaps in your smile and give you a confident, appealing grin. Our dental crowns and bridges are fashioned with natural-looking and strong ceramic. Dental crowns can be used to repair decay, build up weak teeth, reshape the enamel, and transform your appearance. Dental bridges replace missing teeth and return the flawless function and aesthetic of the smile. 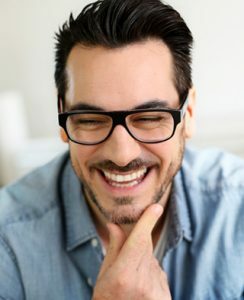 Patients with unique needs or dental anxiety may fear that they will never be able to restore their damaged or missing teeth. Dr. Mady and his team make anything possible with hospital grade anesthesia options. For patients with dental phobia, disabilities, or allergies, general anesthesia or IV sedation could be the perfect solution to getting through your next gentle dental procedure. In some cases, uncooperative or nervous children can also benefit from these calming sedation methods. You, too, can Wake Up With a Smile! We can’t wait to restore the vitality of your healthy and beautiful teeth. You can schedule your restorative dentistry consultation today by contacting us at the Center for Dental Anesthesia.